Art Market Magazine Issue #40 - PUBLISHED! 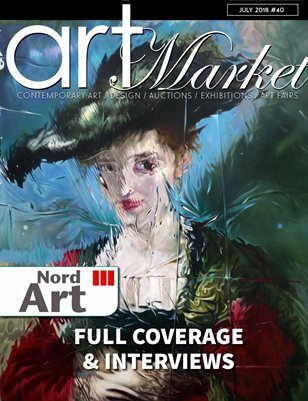 This month's issue is a beautiful and unique edition, featuring special coverage of the quality art fair, NordArt 2018, Located in the North of Germany. You will find quality artworks and exclusive interviews with most extraordinary international artists including LIU BAOMIN, JIŘÍ HAUSCHKA, CHRIS DELLORCO, and a special Interview article with the anonymous successful artist FEROMONTANA, which his identity is not clear, but his art makes waves around the world. More you will find, Important Exhibitions coverage at the MET, Museum del Prado and CINDY SHERMAN's exhibition in London. Auction results and fantastic articles written by Art Market Magazine's contributors.